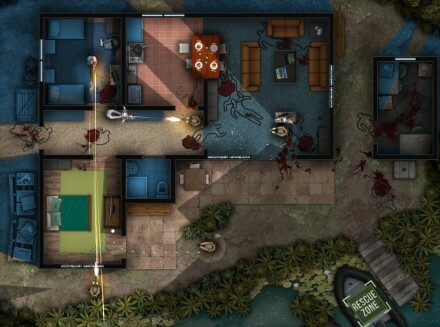 Door Kickers is a top-down real time strategy game where you command a SWAT team sent into various locals to neutralize bad guys and rescue hostages. I played it in early-alpha a while ago, and while I enjoyed it in its early state, it’s only gotten better and more feature-heavy since then. If you’re a fan of these types of games, it’s the perfect time to pick it up, because it’s 85% off on Steam for the next day or so (at the time of posting). That’s $2.99, from the usual price of $19.99. – New campaign, in celebration of the iPad release. – Tablet mode: activate the new GUI and control scheme optimized for touchscreen displays and trackpads. 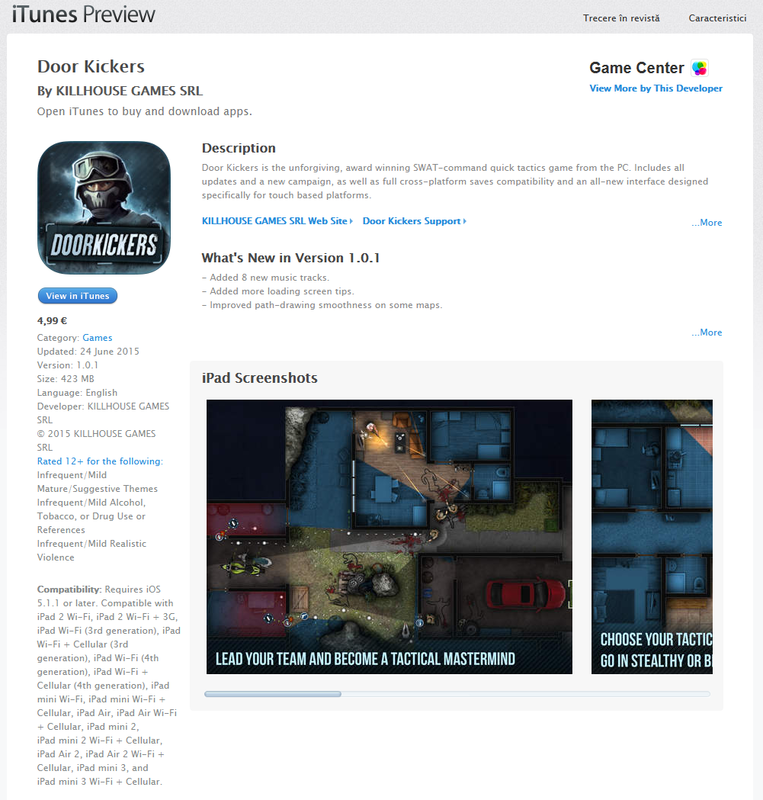 – Added import/export save-games capability, to share progress between different platforms (PC-Mac-Linux-iOS). – Improved path-drawing smoothness on some maps. – Increased maximum zoom-in distance. – Challenges: in addition to the 3-star system, you can now complete challenges for each level. These do not count towards unlocking weapons but do gain your troopers XP. – Plan saving: all paths up to the first “Play” command are saved and restored when restarting the map, also called the Daimaju feature (https://www.youtube.com/watch?v=X5P849j6q5c). – Unlockable items: items are now unlocked using the Stars currency. – Unlockable classes: trooper classes (assaulter/breacher/etc.) are now unlocked by leveling up your squad. – 3 new armor types. – Many improvements to enemy AI. – Line of sight preview when drawing a path. – Proper feedback indicators for enemies that are about to execute a hostage + added countdown timers for executioners. – Feedback for the range of all sounds. Can be switched off in options. – Added indicators for shield area of cover. – Added enemy tooltips that show their equipment and intentions. – When the line of fire is blocked by a friendly unit, a proper graphical indicator is rendered. – The VIPs in “Protect the VIP” scenarios must be activated by proximity in order to be able to control them. – Can customize the name/appearance of your troopers (wip, for now you can only loop through all the troopers in the database). – Can now change resolution from the in-game video options. – Support for more .wav formats. Previously an unknown format would crash the game. – Added reverb sound effects (wip). – Added new graphics/sounds effects (ejecting bullet shells, rain, fire etc.). – Graphical updates to many maps, including the training ones. – Can now disable map zooming/panning from the options menu. 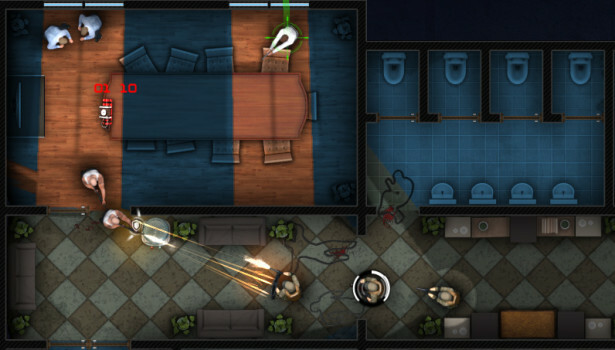 – Arrested enemies auto-move outside the line of fire between a swat and a fellow enemy. – Selecting between paths that are over-imposed is now much easier. – It is now possible to switch between pages in the Single Mission selection screen, via the small buttons on the bottom. – Fixed the 50 mods limit downloaded from Steam. – The “Export replay to movie” feature now works correctly on more (all?) hardware configurations (and faster). – A crash that would sometimes happen after enabling/disabling mods and playing a game. – Mods are no longer deleted after starting the game in offline mode. – Deploy slots no longer look weird on very large screen resolutions. – Flashbangs that could sometimes kill an enemy if they hit him. – Too many trooper radio sounds in replays. – A bug where shields would not stop bullets coming from grazing angles. – Snipers can no longer target VIPs. – A bug where modded weapons would show up more than one time in the equipment menu. – When updating a mod, the mod.xml “description” field is no longer updated on Steam Workshop. – Can now use additional breaching charge types on a door. – Maximum map size is no longer hardcoded at 4096×4096, though it’s still limited by the maximum texture size supported by the GPU. Recommended 8192×8192. – Added more rendering layers (can now control which item renders on top of what item with more precision). – All weapon mods that use bullet_trace.tga + bullet_trace_shotgun.tga should now use the .dds versions. Will remove the .tga ones in the next update. – All weapon mods should update the firearms flare rendering layers to mimic the ones in the new equipment.xml version. – All weapon mods should add bullet-shell-on-the-ground sounds like in equipment.xml. If your mod already added such sounds (e.g. SiC), make sure to take them out or add them using the new fields in equipment.xml. – Graphics / Explosion sounds for flashbangs/breaching charges are now moddable. Mods that modify the flashbangs/breaching charges should modify them according to the new equipment.xml (added the explosion sounds and graphics). – Crowbar/lock-picks added to the equipment items and can now be modded. 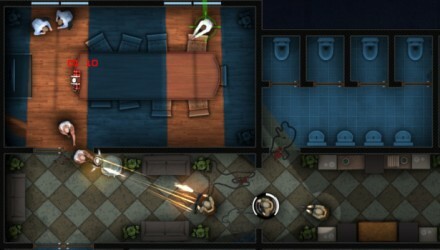 DoorKickers Alpha 9 sees the addition of body armor, more complex shield options, and less-than-lethal options, along with an ‘Arrest Warrant’ mode, where a specific NPC must be arrested to win the game. – New scenario type: Arrest Warrant. – Body Armor added to the game. Select it from the inventory menu. – Troopers now properly remember the weapon they had in hand before breaching a door. New classes, experience gain, and bug fixes galore. 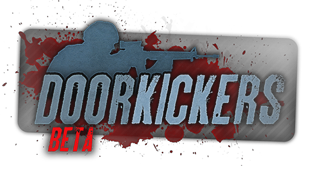 DoorKickers has added plenty of brand new features in the latest Alpha 8 build. – Fixed a couple of crashes, tweaked some stuff and in general improved the game in too many ways to mention here. – Lockpicking. Beware – can be heard by enemies at short range. – New enemy AI: Sawn Off shotgunner. Yeah, watch out for him. – Can no longer operate devices from behind walls/doors, you cheaters. Improved AI (both enemy and friendly). A full list of changes can be found at inthekillhouse.com/. – Added realistic shooting methods. – SWAT now wait for flashbangs to explode before proceeding on their path. – SWAT now wait on doors if there is a flashbang being thrown through that door. – SWAT better stacking at doors. – Added an in-game “News” panel where you will be notified of new updates and/or community news. – Greatly improved FPS on older video cards (and newer ones as well). – Distance is now shown when rclick-dragging. – Game loads fasters now. – Added new ambiental music. – You can now delete portions of the path by right-clicking anywhere on it and selecting “Delete”; Shortcut to be added in next version. 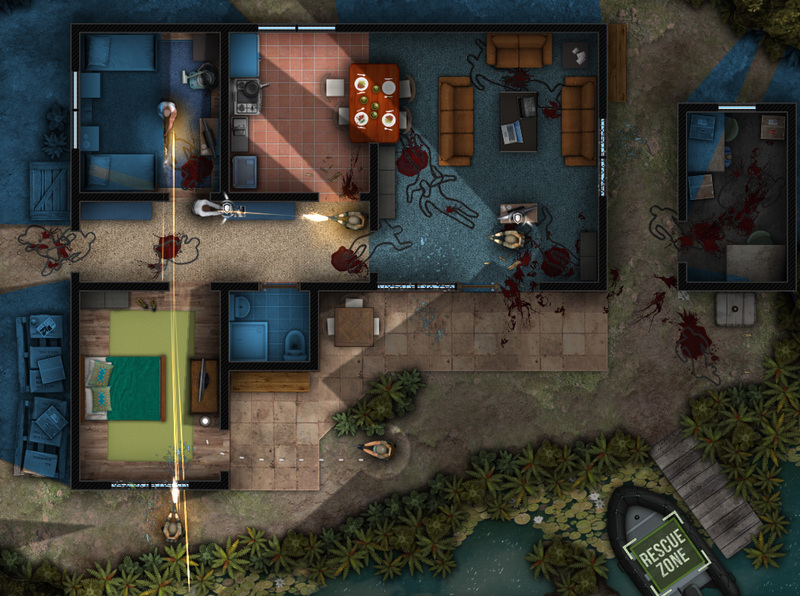 DoorKickers is a top-down real time tactics game where you control a SWAT team clearing buildings and rescuing hostages using realistic weaponry and equipment. Gameplay can be paused to help the player to plan a strategy, although the player is graded on a number of factors per scenario, time of completion being one of those factors. The devs at KillHouse Games sent me the open early alpha build, and so far it shows a lot of promise.